Which Social Media Sites Fit Your Ecommerce Company? Facebook, Twitter, LinkedIn, Pinterest, Yelp, and dozens more: There are so many social media platforms. Which ones should your company be on? But you’re probably wasting your effort being places that won’t do your business any good. This isn’t to say that every business should follow a specific classification guide — it doesn’t exist. It’s more about what are you trying to accomplish? Are you trying to take part in the conversation with the hope that the customers will follow? Or are you trying to be more specific, like reaching out to people who mention problems your product or service solves? 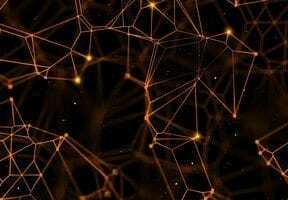 Whatever the case may be, there’s a social network for that, with a relevant user base. Before I address the primary networks, I recommend one thing: Facebook. No matter what, 99 percent of the time your company needs a Facebook page. Even if you don’t have a B2C presence, or there’s very limited interaction with the public, it’s important. Facebook is a customer service tool, a glimpse into your company’s culture, and a place for people to share their experiences with your brand. For those reasons, you need to be there. Not having a direct line to your company can literally stop someone from considering it — and I speak from personal experience. Now, let’s review the other popular networks. LinkedIn is a social network for professionals. That’s not to say it’s by suits for suits, but there is definitely a clear sense of business on the social network. If you have a B2B product or service that relies on networking, whitepapers, or something similar, you need to be on LinkedIn. LinkedIn offers ads as well, but they’re rather expensive — $5 per click. You can, instead, get good reach just by creating quality content on your organization’s page. Twitter is for immediate conversations. But it’s also an effective customer service tool. That’s one of the main reasons I use Twitter: It’s a fast way to get in contact with a brand. However, similar to Facebook, it’s easy to see if I should avoid a brand because it doesn’t have a presence — or it’s a one-way stream of useless updates and no replies. If you’re going to be on Twitter, go all the way. Reply when someone mentions you, even if it’s an angry one, because for every 10 happy responses come at least five less than happy. Pinterest is for inspiration. When I was looking for businesses that would not benefit from Pinterest, the examples were small. Even concrete piping had a presence, with ways to make a house out of a concrete pipe. Who would’ve thought? That sums up the entire premise of Pinterest, though. It’s a place where people get inspired, by all sorts of things that wouldn’t ordinarily inspire them. Think concrete piping is boring? 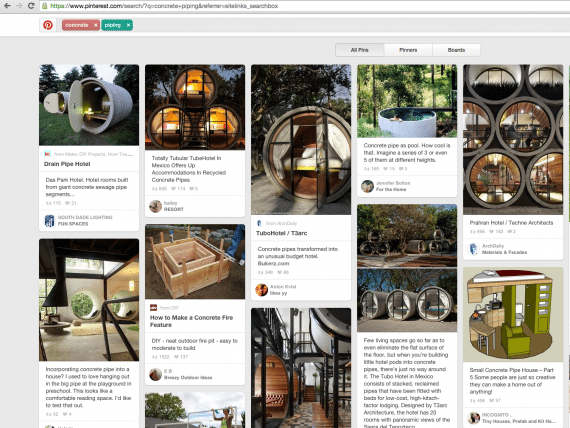 This Pinterest page shows how to use concrete piping for innovative construction projects. YouTube is a home for videos. It’s mandatory if you have a product or service that needs explanation. Like Facebook, YouTube is almost a must have. Most products have a need for an explanation, which is where YouTube can help. In addition to product videos, YouTube is a good place to showcase your company culture. What better way to showcase your business to potential employees or customers than a video look inside? Yelp is a bonus. If your business has a physical presence, you need a Yelp page. Beyond offering local search engine-optimization benefits, Yelp is a place where consumers leave and read reviews — including your type of products and services. It’s understandable if you want your business to be on all the major social media sites. But it may cost you effort that could be better spent on a few select relevant channels. If you focus on those channels, you’d likely get much more from them. Large companies with massive ad campaigns can spend huge amounts of money to appear on all social sites. But it’s smaller companies that are often the most creative. They have limited budgets, which force better targeting. It’s those companies that often knock it out of the park.